Lewes's FA Cup campaign came to an end at high-flying National League South Bath City on Saturday despite a strong first-half display, reports Stuart Fuller. Due to suspensions to James Hammond, Leon Redwood and Nico Cotton and Thomas Day being cup-tied, Darren Freeman was forced into reshuffling his side for the Third Qualifying Round tie with Luke Blewden and Marcus Elliott returning from injury, Charlie Coppola travelling down from his university studies in Warwick and a debut in the centre of Joe Russell. Jonte Smith dropped to the bench. 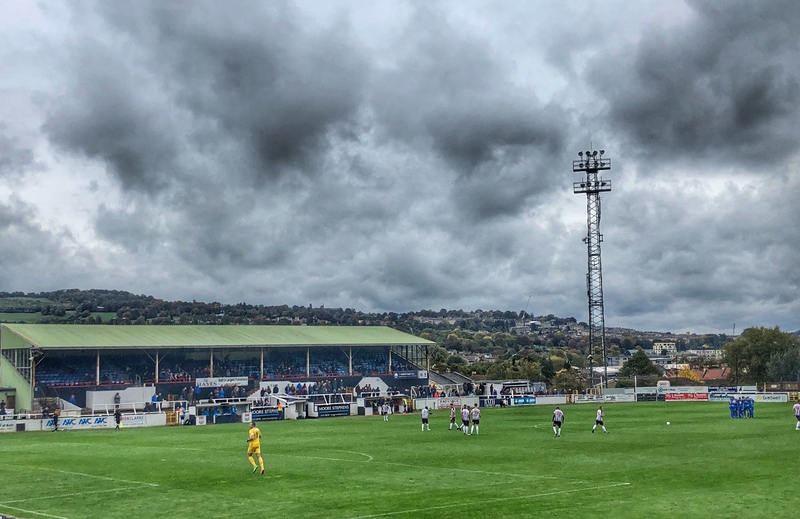 Despite a number of players playing out of position, the Rooks started the game positively and the pace of the side caused Bath City some early problems. Marcus Elliott had the first real opportunity of the game after Tom Smith's back-pass didn't quite reach the Bath keeper but the Rooks shot was well saved by Ryan Clarke's legs. At the other end, Lewis Carey needed to react quickly to tip a Stearn effort over the bar. Despite some neat approach play and a couple of dangerous crosses into the Lewes box, the hosts didn't look like troubling Carey. At the other end in a 4 vs 2 counter-attack Dan Darbyshire mis-hit his effort, laid back to him by Elliott, before Omarr Lawson failed to find the target with a header after it was whipped back in by Luke Blewden. Clarke then made a magnificent one-handed stop to keep out an Omarr Lawson curler from 25 yards that looked a certain goal. Darren Freeman will have been happy to have gone in at 0-0 at half-time but with the final move of the first period, the home team scored. Stearn ran on the overlap down the Lewes right, got behind Blewden and his low cross was turned in at the near-post by centre-forward Ryan Brunt. The Rooks started the second period brightly, with Ronnie Conlon having an early chance but their spirit was broken in the 51st minute when Adam Mann picked up on a loose ball in midfield and drove straight through the middle of the Lewes defence before planting the ball in the corner of Carey's net. With nothing to lose, Freeman brought on Jonte Smith and Billy Medlock, hoping for some Cup magic but it was not to be and the hosts killed the game off with a third in the 71st minute when the impressive Tom Smith rammed the ball home as he ran unchecked into the area. Few of the impressive Rooks support could complain about the result or the performance. Our cup run was over for another year. Post-match Darren reflected on the game and the cup run in general. The Rooks turn their attention back to Bostik Premier League action next Saturday when they head to Potters Bar Town, kick off 3pm. Bath City: Clarke; Efete, Cundy, Batten, Straker; Artus, Smith, Raynes; Mann, Brunt (Mills 77mins), Stearn.